Whether it’s Christmas, Hanukkah, a birthday or an anniversary, gift giving gives us an excuse to spoil our friends and family, an opportunity to shop local, and a reason to challenge ourselves. Can you outdo last year’s gift? With our help, you definitely can. To take gift giving up a notch, we rounded up a handful of Bay Area businesses that offer classes and experiences where you can get hands-on in the studio, in the kitchen, in the wine cellar, in the brewery or in the circus (yes, the circus). Suitable for all skill levels and nearly every interest, this is going to be your new go-to gift giving guide. There’s even a place where you can practice taxidermy! A program of Bi-Rite Market, the nonprofit 18 Reasons serves to create a space where community members can deepen their relationships with food and with each other. The team offers classes and dinners every night in the classroom on 18th Street, and they offer free Cooking Matters classes to more than 3,000 low-income Bay Area adults, teens and kids each year. Attending a class supports their nonprofit and allows participants to learn something new in the kitchen from basic knife skills to French countryside classics. This is San Francisco’s only class that lets you learn from a professional brewer then take home the beer you made. Jason Beck, instructor at Brew It Yourself and brewmaster at Mercurius Brewing, leads participants through a hands-on and in-depth brew and offers classes for both beginners and advanced brewers. Get more details on both options and private classes here. Nestled on the waterfront beside Fort Baker in Sausalito, Cavallo Point is home to a luxury hotel, a bar and restaurant, a spa and an award-winning cooking school. Filled with natural light and top-of-the-line culinary equipment, the kitchen offers 1,200 square feet of space, four workstations, two flat screens for demonstrations and Heath Ceramics dishware when the food is ready to be enjoyed. 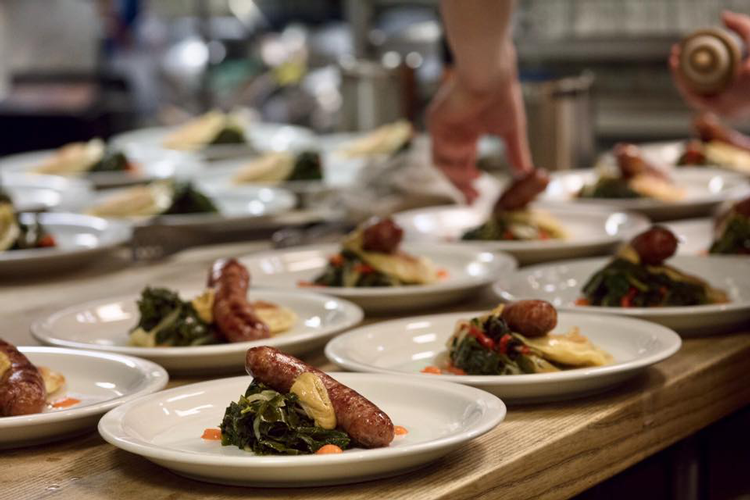 Focused on seasonality and sustainability, classes are offered in topics that include tacos, ramen, game meats, gnocchi and more. 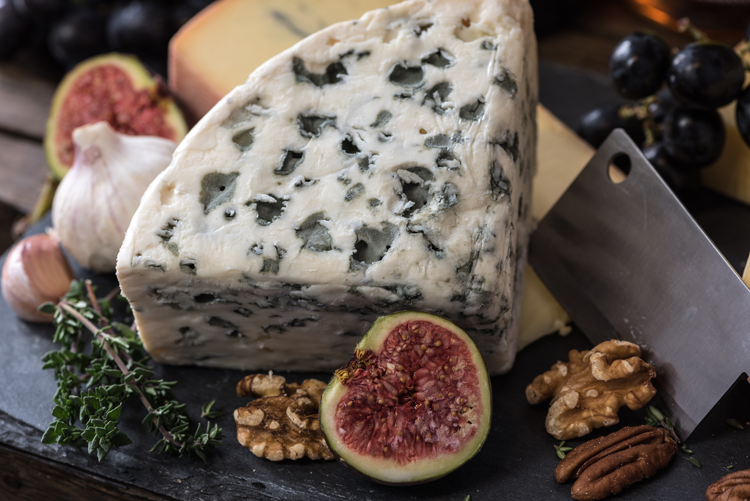 The only independent institution of its kind in the nation, The Cheese School in Ghirardelli Square focuses on everything cheese, from the classes to the cafe. Their educational tasting events come in options suitable for every skill level whether you’re a novice or an old pro. For example, cheese and cider pairings, pizza making classes and mozzarella making classes could be suitable for beginners while the three-day intensive cheese education program would be more suitable for cheesemongers, chefs, caterers and other food professionals. The Circus Center story begins in 1974 when Peggy Snider and Larry Pisoni founded The Pickle Family Circus, the iconic Bay Area troupe that kicked off the country’s circus renaissance. Today, the organization operates out of the once vacant West Gym of Polytechnic High School and offers classes for every experience level in flying trapeze, acrobatics, aerial arts, contortion, juggling and various other disciplines. Check out their lineup of entry-level classes here. Clay by the Bay is a hands-on studio and educational facility where you can take one-time classes or embark on six and twelve-week intensive sessions. If you just want to dabble in clay arts, the one-time class will allow you to make a cup and a bowl, and you’ll get to test out the potters’ wheel! Two or three weeks later, you can relive the class when you come back to pick up your creation. 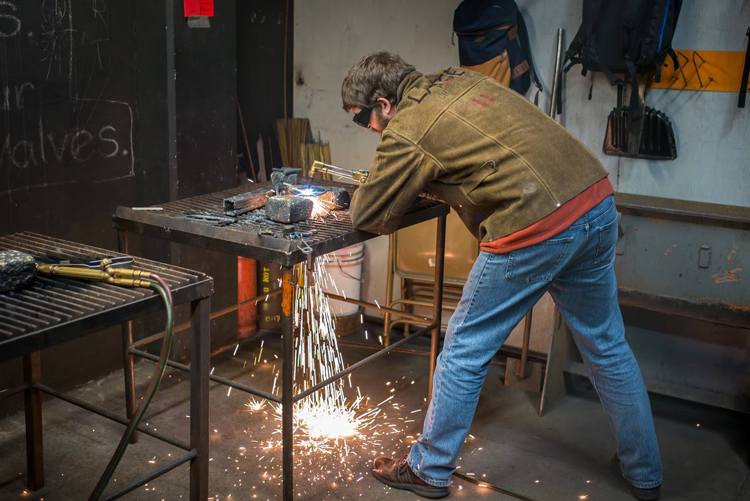 The Crucible offers youth, adult and group classes in industrial arts, including welding, glass blowing, blacksmithing, leatherwork and more. Sculptor Michael Sturtz first opened the doors in January 1999 and has since grown The Crucible into the largest nonprofit industrial arts education facility in the United States. Today, you can enroll in casual adult classes like a 3-Hour Taster or Friday Flames which is a two-hour workshop that ends in a glass of wine or beer. Or, you can opt for a five-week course, week-long workshop or private instruction for a more tailored experience. Dogpatch WineWorks offers the most expensive experience on our list, but it definitely qualifies as the most impressive, too. Located in San Francisco’s Dogpatch neighborhood, this event venue and winery has a Private Barrel Program which invites anyone, regardless of experience, to make their own custom wine by the barrel. That means you can take home 24 cases or 288 bottles at the end of the process! Participants can be as involved as they’d like to be, but are encouraged to take part every step of the way, from fruit selection to label design. The timeline depends on the chosen varietal; so this gift can take just a few months for a Sauvignon Blanc or two years for a Cabernet. Get all the details here. This San Francisco company is designed to educate, inspire and equip anyone interested in urban homesteading with the knowledge and experience needed to produce your own food, reduce your ecological footprint and eat seasonally and sustainably in an urban environment. Public courses cover things like cheese making, fermenting and charcuterie, and sometimes even include unique classes in topics like mushroom cultivation, greywater installation and backyard chickens. Available in San Francisco, Oakland and Berkeley, Kitchen on Fire cooking classes are led by classically and Michelin-trained chefs but they’re designed for every single skill level. Guests are invited to bring their own bottle of wine and can enjoy classes in every category, including 12-week basics, nutrition courses, and one-time classes in meat butchery, pies, tamales, chocolate, French cuisine, sourdough, vegan cooking, kombucha and sushi. Paxton Gate opened for the first time in December of 1992 inside a 300-square-foot shop to showcase and sell eccentric gardening merchandise and curiosities inspired by the natural world. 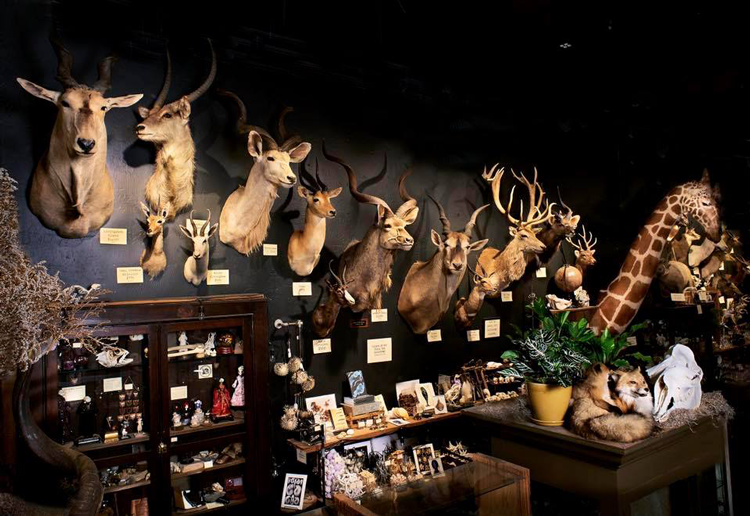 Today, they’ve moved to a much larger space in the Mission and offer items including taxidermied animals, furniture, vintage and antique architectural elements, jewelry, personal goods, books and home décor. Their class calendar includes things like Jackalope taxidermy, baby Opossum taxidermy, and Rhino Beetle spreading workshops which range in price from $50 to $595 depending on the subject. Local teachers, makers, artists, foodies and DIYers run the show at Workshop. Offering over 50 classes, their calendar has one-time class and multi-class options covering topics like silk screening, embroidery, homebrewing, chocolate making, candle making, plant care and more. Unique to Workshop, every class is restricted to adults 21-years-old and above. With a slogan like “Drink beer and make stuff,” you know you’re in for a good time! 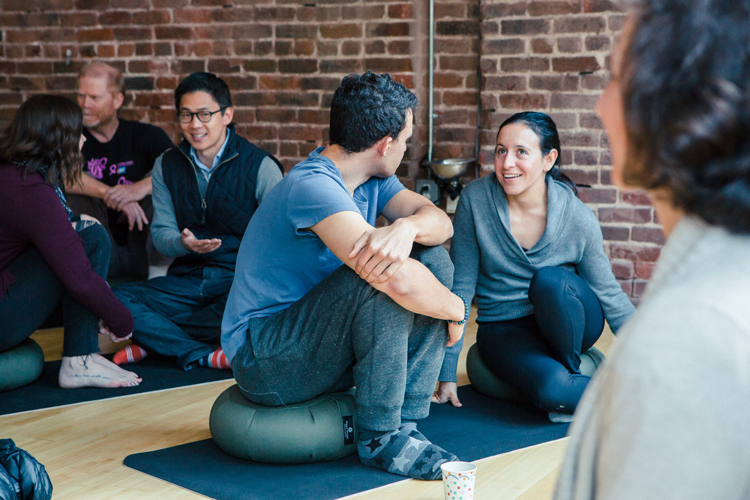 Located in the Financial District, WITHIN offers space to come together and knowledge to expand your meditation practice. Led by an experienced team and two passionate co-founders, the in-studio classes provide a community environment where you can relax, focus and reset at the beginning of your day, in the middle or after work. Drop-in classes are available for $20 each or you can gift a nine-class package for $149. Get more details here, including information on online meditations.